Two smallsats built in Glasgow, Scotland, and funded by the UK Space Agency have been launched and they will monitor weather and help combat global climate change. The two ‘first of a kind’ 5 kg. satellites, which were designed and built by Spire Global, are unique due to their function, tiny size, low cost and quick build time. This genre of satellite could revolutionize work in space, which has traditionally been slow and expensive for business and science to access. LEMUR-2 satellites being tested prior to launch. Photo is courtesy of Spire Global. 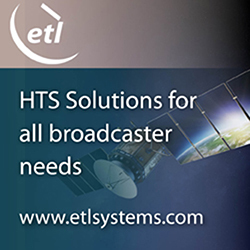 Both satellites, which were developed under the European Space Agency’s (ESA’s) ARTES Pioneer program (the UK is the largest funder to ARTES), will aim to prove the value of smallsats in weather monitoring by using them to measure refracted radio signals passing through the Earth’s atmosphere. Experts can use the satellite’s measurements to glean temperature, pressure and humidity information for weather forecasting and climate change monitoring. The launch of the Spire Global smallsats aboard a PSLV rocket. 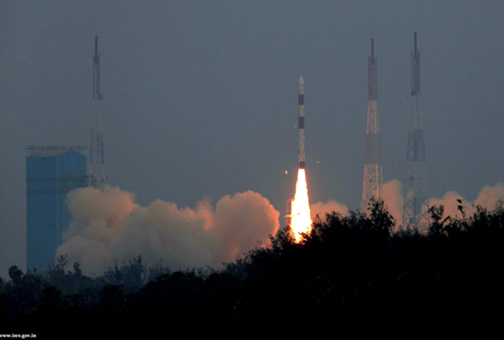 These smallsats were launched from Sriharikota, India, by the Indian Space Research Organisation; however, starting in the 2020s, these home-grown spacecraft could be launched from a UK-based spaceport. The UK Space Agency is also supporting a space incubation centre in Glasgow and has provided support over several years to the Scottish Centre of Excellence in Satellite Applications, based at the University of Strathclyde and working across the entirety of Scotland. The Centre’s role is to raise awareness of the potential of satellite services and data to be used in new and improved products and services in other “space enabled” markets – including, for example, offshore renewable energy and aquaculture. The UK Space Agency is driving the growth of the space sector as part of the Government’s Industrial Strategy with major initiatives including the £99 million National Space Test Facility at Harwell, =and the UK continues to be a leading member of ESA, which is independent of the EU. Graham Turnock, Chief Executive, UK Space Agency said that these incredibly clever pint-sized satellites built in Glasgow could slash the complexity and cost of access to space, presenting an exciting opportunity for the UK to thrive in the commercial space age. Through the agency's £4 million development funding in ESA’s ARTES program, the government’s Industrial Strategy and by working closely with our international partners, we are helping Scottish businesses transform their ideas into commercial realities, resulting in jobs, growth and innovation. Khalil Kably, Pioneer Program Manager for the European Space Agency added that a gap was noted in the market for what is called Space Mission Providers: companies that offer all aspects of a space mission to validate a new technology or service for the benefit of others. ESA is always looking to champion innovation in the space industry, and the idea of Pioneer is that these Space Mission Providers can help this by being a one-stop-shop for in-orbit demonstration and therefore reduce the barriers and complexity that can stifle new ideas. Peter Platzer, CEO of Spire Global, added that Spire has been focused on developing unique data sources with high frequency updates for the entire Earth and has more than 60 LEMUR-2 class satellites deployed in space with a complementary global ground station network. 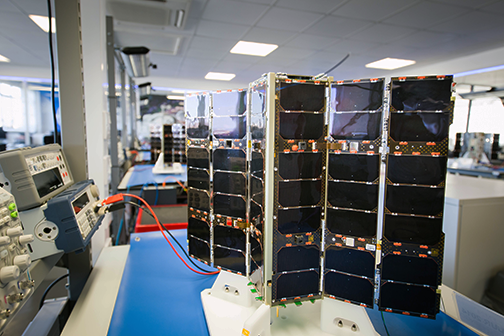 Under Pioneer, the company can offer extensive experience in the manufacturing and management of smallsats, like these, to those who cannot afford to waste money and time to do it themselves. This work with ESA helps further support the global development of commercial aerospace’s potential to make space access universal.